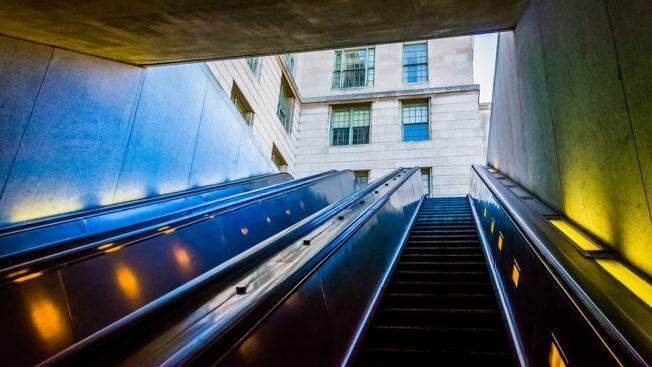 The Federal Triangle Metro station has reopened after previously being closed on Saturday, the day of the Women's March on Washington, "[d]ue to security and logistical considerations," the transit system said. Metrorail Info said the station reopened around 9:30 a.m. Saturday after other stations in the area became overwhelmed by the amount of people trying to get to the march. They suggested people who are encountering large crowds at L'Enfant Plaza to head to Federal Triangle. Federal Triangle station has reopened. The closure of the Federal Triangle station on Saturday was a last-minute change during a busy few days in D.C. Five stations were closed Friday due to security concerns for President Donald Trump's inauguration. All other Metro stations will be open Saturday, the transit agency said. The Metrorail system opened two hours early Saturday -- at 5 a.m. -- and was running additional trains on Saturday for the hundreds of thousands of people expected to attend the Women's March on Washington. Three generations of a Fairfax County, Virginia, family will attend the Women's March on Washington on Saturday, including 90-year-old Dalia Meza. "We'll all be there telling Mr. Trump that he is not going to change our rights and our freedoms in this country. He's not going to run over women's rights," the former teacher and ballroom dancer told News4's Julie Carey. Trains are operating on an "enhanced Saturday schedule," with as many as two dozen extra trains running on the Red, Orange and Yellow lines. "Metro heard from lots of customers about the need for additional service this weekend and worked quickly to respond," WMATA chair Jack Evans said. Trains are departing stations at the end of each line every 12 minutes, which means riders can expect trains to arrive at the downtown stations every 4 to 6 minutes Saturday, Metro said. Metrobus will run on its regular Saturday schedule. Buses will detour around road closures on Independence Avenue between 2nd and 14th streets NW. The D.C. Streetcar system will run from 5 a.m. Saturday until 2 a.m. Sunday. Capital Bikeshare, which had closed its stations within the security perimeter for Trump's inauguration, will reopen those stations on a rolling basis Saturday. Check Capital Bikeshare's website or the SpotCycle app beforehand to see which stations are available, D.C. officials said. Capital Bikeshare will have a bike corral at 4th and E streets SW Saturday from 7 a.m. to 5 p.m. A bike valet will be available at 10th Street and Independence Avenue SW. Find more information online here.